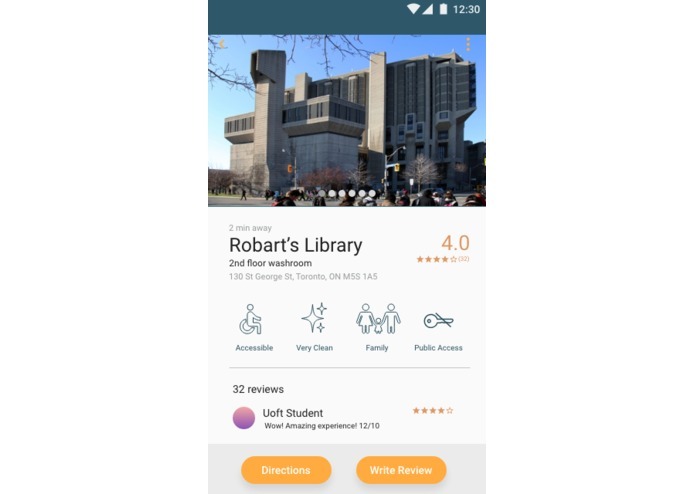 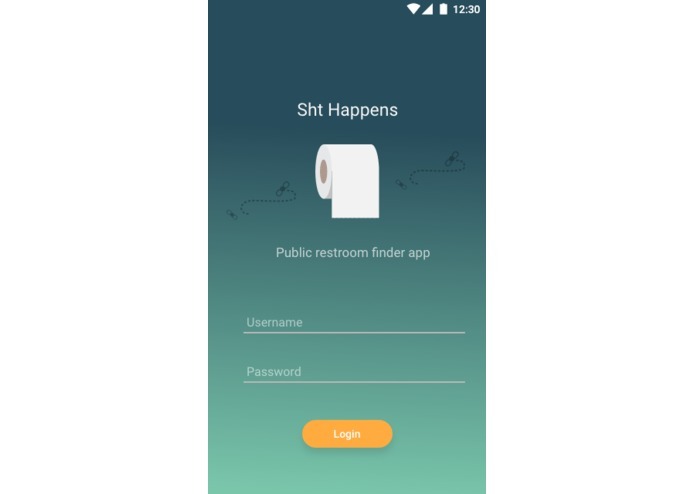 Sht Happens app is a public restroom finder Android mobile app that assists citizens and travellers who are in a new city to search for an accessible public restroom. 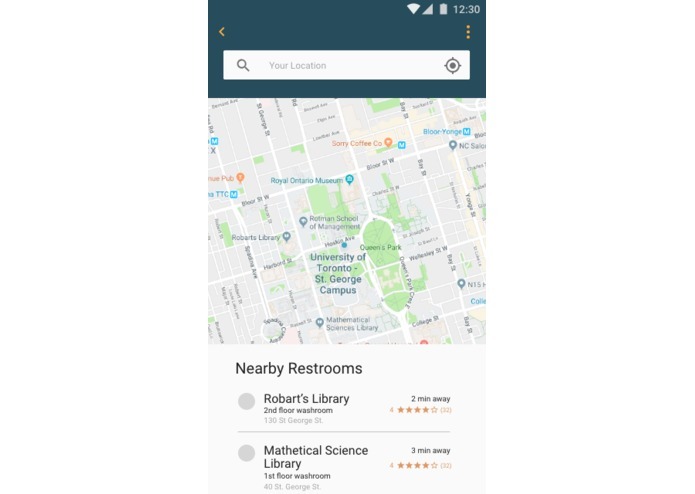 Restrooms must be accessible for all different types of users: male, female, family, disabled, infants, students, maternity, etc. 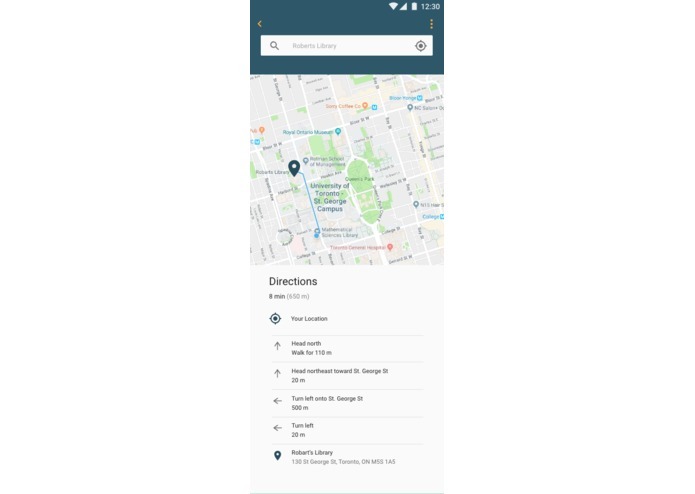 Providing necessary hospitality for all types of restroom users is important for the diverse city of Toronto. 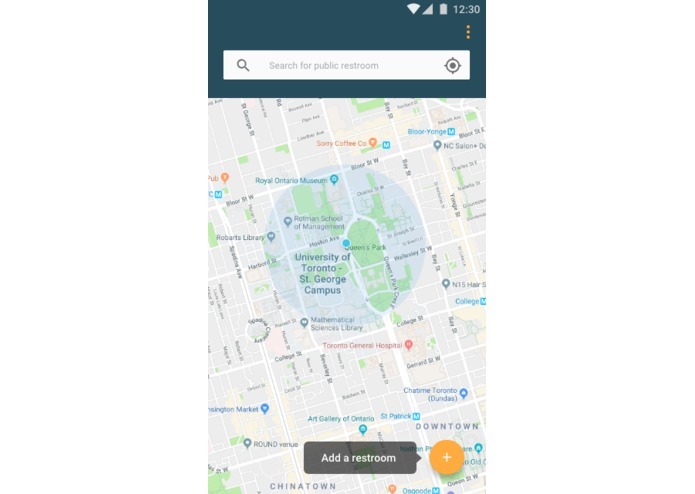 I worked on implementing the Google Maps API into the android application, and also tried to place geolocation (in order to recieve the users' current location)- also using the Google Maps API.